Due for release two days before their fourth birthday, Obsidian is the second full length release from Brisbane alt-rock quartet, Flynn Effect. They’ve chosen the perfect title for this album for a couple of reasons. Firstly, Obsidian is volcanic glass formed by lava that cools so quickly it rarely crystallizes so the result is more pure and clear. This duality of extremes is audibly represented throughout the album: loud and quiet, fast and slow, heavy and chilled, anger and elation, all coming together to form a seamless gem. Secondly, one for the genre purists, a band can be considered ‘obsidian’ if they tread the line between rock and metal while throwing in some other non-related genres as well. 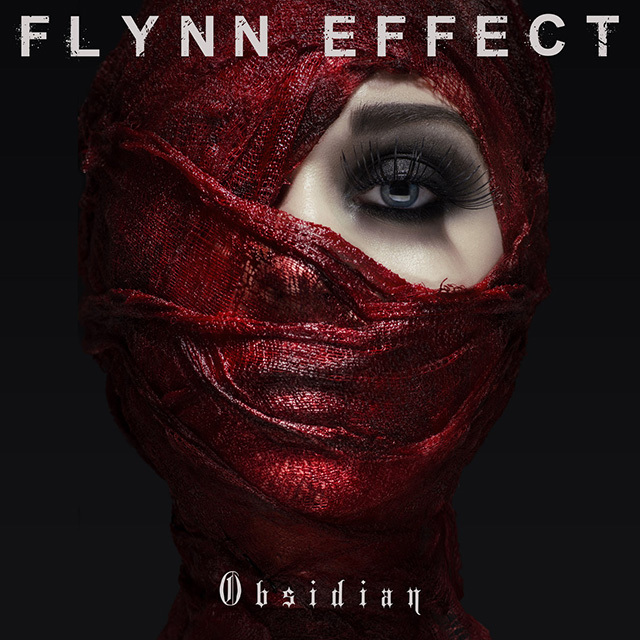 As you listen through Obsidian you may find it difficult to exactly pinpoint a genre for Flynn Effect. I’ve never really subscribed to sub-sub-sub-genre discussions so it’s great to actually not be able to easily pigeonhole a band’s sound. There’s the ever-present Rammstein-esque feel effectively coupled with Eastern melodies, Western slide – blues and symphonic orchestration. Guitarist Jesse Higginson provides solid riffs and some fine lead-work, strengthened by the sublime bass playing from Matt Cuff. The hard rock/metal drumming from James Laurie seems to work quite symbiotically with orchestral string, piano and harpsichord parts. Then there are the powerfully dynamic and ethereal vocals from the indomitable Tomina Vincent to complete the Flynn Effect sound. The first single ‘Fade’ was released with a film clip in late June and the second single ‘Give In To Me’ was premiered on Andrew Haug Radio on July 17. The opening track ‘All For Love’ is an early standout as well as ‘Eastwood Blues’, but each of the ten songs are noteworthy from the first spin. Obsidian was recorded, mixed and mastered by guitarist Jesse Higginson at his home studio. In fact Flynn Effect do it all themselves: perform, record, produce, manage, promote, book, THE LOT! They know what they want, they know what they’re doing and nothing is stopping them. Catch Flynn Effect at The Factory Floor, Sydney on Friday August 11, The Workers Club, Melbourne on August 13 and a home show at The Brightside on Friday August 18.